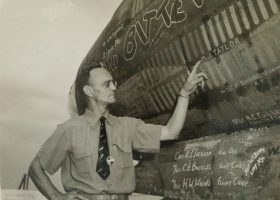 Melvin J. Taylor started his career with Glenn L. Martin Company in 1939 and worked on twin engine, light bombers for the French and British before being assigned to the Martin B-26 Marauder. 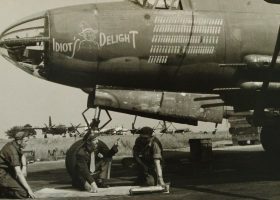 His first assignment as a B-26 Tech Rep was at Wright-Patterson Field (Ohio) in August 1941, where the Accelerated Service Test was under way and the 22nd and 38th Bomb Groups were there as well. 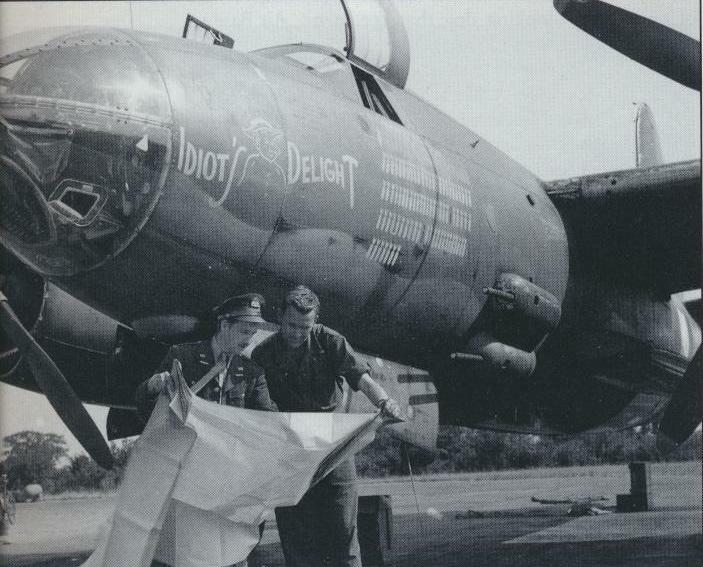 Also during that time Jimmy Doolittle and the Russians were evaluating the B-26. That is where Mel first worked with (then) Colonel Millard “Pappy” Lewis. 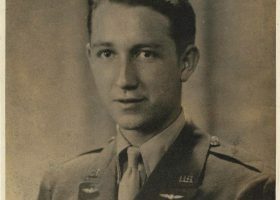 In April of 1942 he was transferred to Barksdale Field (LA) to work with the 335th RTU (replacement training unit) and the 17th and 319th Bomb Groups that were finishing their training there. 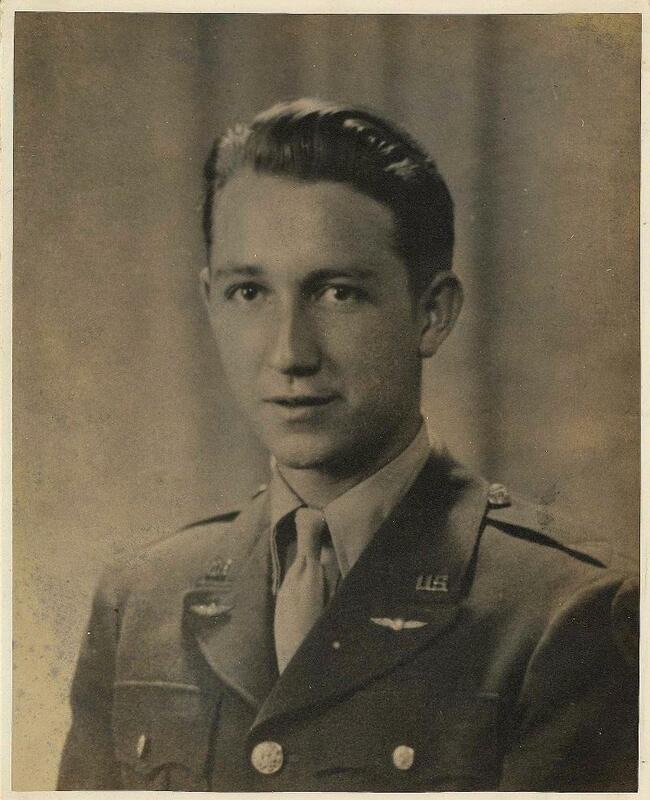 Mr. Taylor traveled to England in April, 1943 with the 9th Bomber Command where he coordinated activities on the B-26 with the other Martin Tech Reps assigned to each Bomb Group. 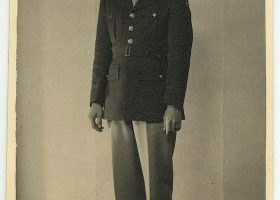 Following the invasion he was moved to the continent with the 98th Combat Wing. 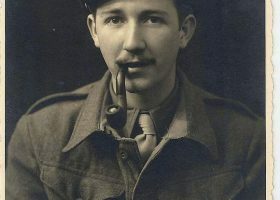 He went with the ground crews on an LST (beach landing ship), taking his British car with him, landing at OMAHA Beach. 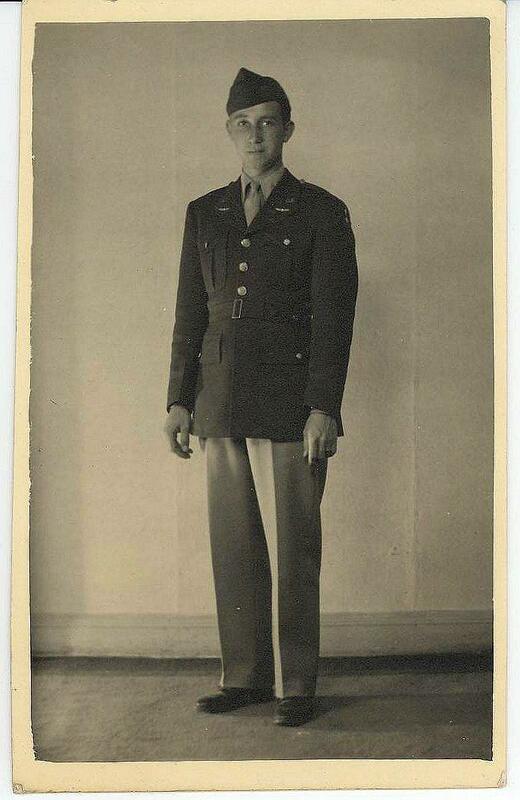 Staying at Lessay on the Cherbourg peninsula for a while he then moved up to Chartes after Paris was liberated, then on to Laon where he stayed until the Battle of the Bulge when they were moved back temporarily to Beauve Tille. Mr. Taylor visited and offered technical assistance to the 1st French Air Force at Dijon. 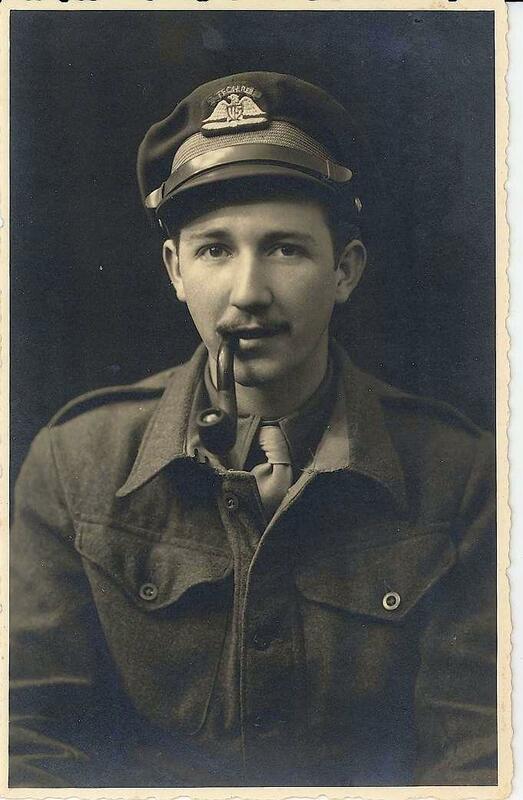 He returned to the states after the war in Europe, to be drafted into military service! 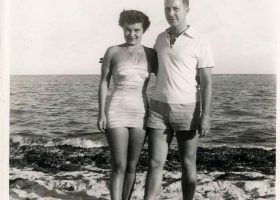 He was able to continue work for the Martin company as a Tech Rep on a Navy dive bomber (Martin AM-1) in Jacksonville, and later the Martin 404 commercial aircraft, spending extended time in Miami with Eastern Air Lines where he met Eddie Rickenbacher. 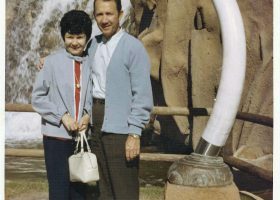 Mel worked on several early missile programs (the Oriole air-to-air; the Bullpup air-to-surface; the Matador surface-to-surface) before going into management on the Titan program in Denver. 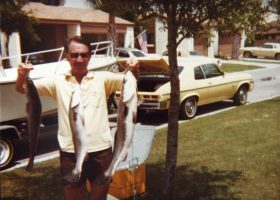 He transferred to the Orlando Division and worked in management on several programs (Bullpup / Gam-83; Sprint air defense) as manager of Logistics Engineering Department before retiring in 1984. 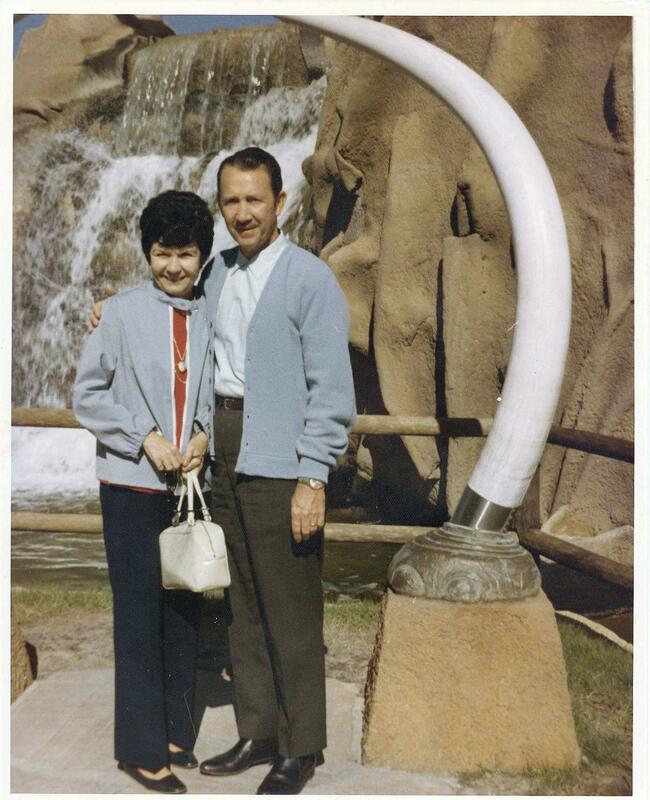 After retiring Mel and his wife Phyl (Phyllis) continued her real estate business and enjoyed traveling and ocean cruises. 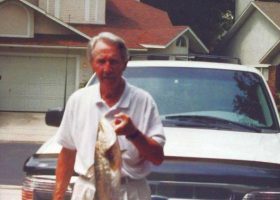 They lived for awhile in Titusville where Mel enjoyed boating and fishing with friends. 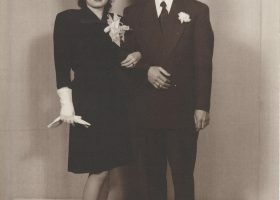 The Taylors eventually moved back to Winter Park. 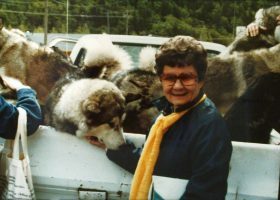 Phyl past away in 2013. 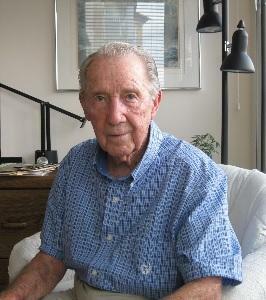 Mel still enjoys visiting friends and sharing his memories. 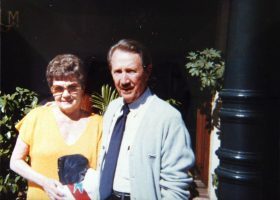 Mel and Phyl, while visiting San Francisco. Mel Taylor brings home a big one. 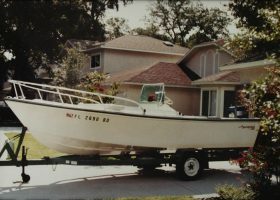 Mel Taylor's boat, in which he shared many hours fishing with friends. Mel's boat was out basking in the sun, posing for a photograph to be used with an article in the Orlando Sentinel. Mel Taylor is pleased with his day's catch. 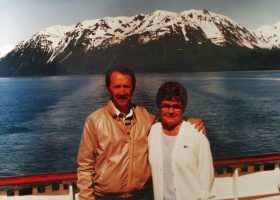 Mel and Phyl on a cruise to Alaska, 1992. 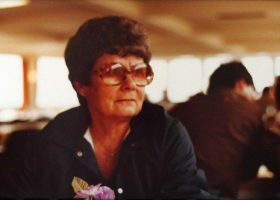 Phyl Taylor on cruise on the Rhine River. 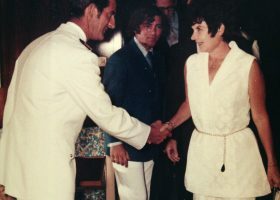 Phyl Taylor meets the cruise ship captain. 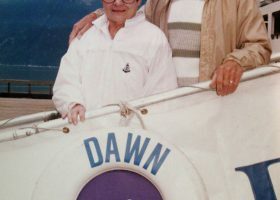 Mel and Phyl, while on a cruise, 1976. 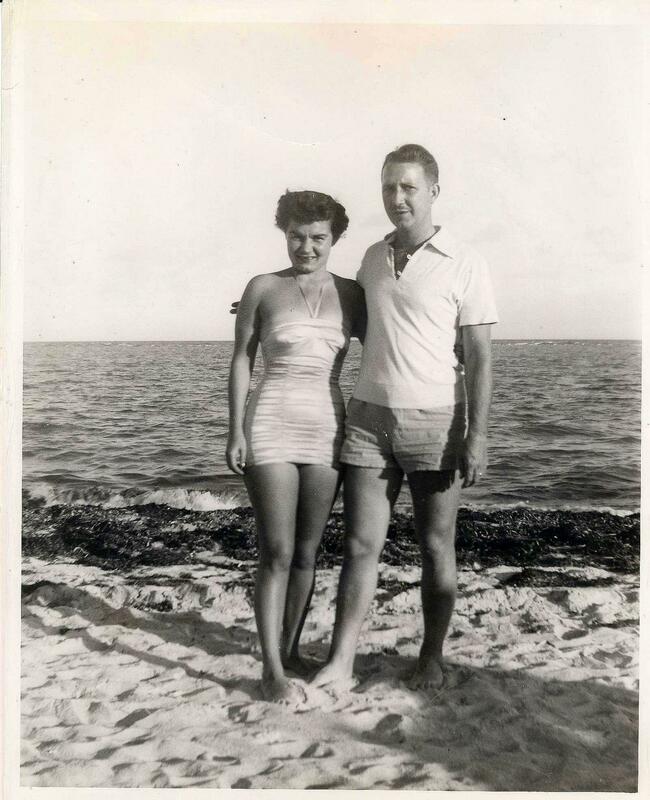 Mel and Phyl Taylor enjoying the Florida beach in November of 1957. 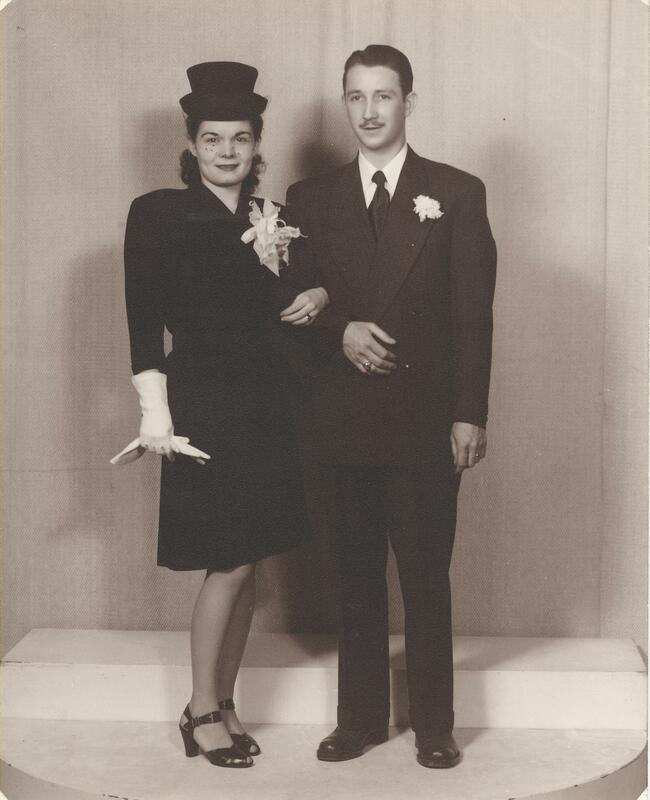 Mel and Phyl Taylor, happy newly weds. Draft Board reaches out to tap Mel while he was in Europe with the Army Air Corps! 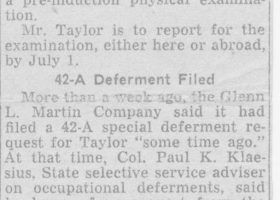 This newspaper clipping comes from the Baltimore Sun, June 16, 1944. 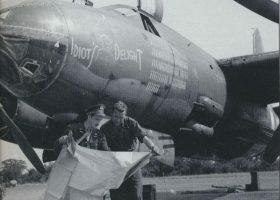 Mel and B-26 crew members consult technical diagrams. Mel and crew member check charts.